“Awaiting posting on promotion for last 3 months. Holding a lower rank post is humiliating”. He further posted in Twitter that it’s like “a Lt Gen forced to hold post of Brigadier”. Khemka, who also came to fame because of frequent transfers, is currently a principal secretary to Government of Haryana and handles archaeology and museum department, considered not so significant among bureaucrats. According to a Wikipedia post, Khemka has been transferred 45 times so far. Born in Kolkata, he did computer engineering from IIT-Kharagpur, and later completed his PhD in computer science from Tata Institute of Fundamental Research, Mumbai. He has two other degrees— MA in economics and MBA. In 2011, Khemka was awarded the SR Jindal Prize for “Crusade against Corruption” along with another bureaucrat, Sanjiv Chaturvedi. Yes, Khemka has become a newsmaker because of his crusade against corruption, but he has failed to get any good posting irrespective of whether the Congress or the BJP is in power in Haryana or Delhi. He was not welcomed in a Central deputation too. Khemka in an earlier interview said, he is inspired by renewed poet Rabindranath Tagore. Tagore wrote in the following song: “Jodi tor daak shune keu naa aashe, tobey ekla cholo re (If no one responds to your call, then go your own way alone). What is definition of a "Good Posting" for an IAS? One which allows a civil servant to make lot of illegal money misusing his official position? An upright IAS officer is an angel in disguise.Being an IAS officer one should not crave for good postings.But Ashok Khemka should be posted in some other department after his promotion....May good sense prevail in this government. 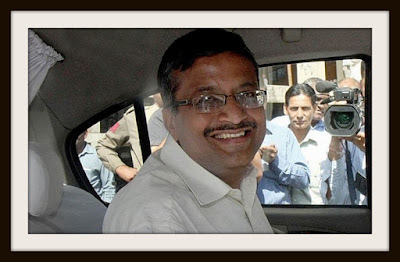 Ashok Khemka is a 1991 batch IAS. He got promoted to Principal Secretary in 2016. This is only 25 years service. It takes a minimum of 32 to 36 years for an officer (entry through the NDA exam) to get promoted to the rank of Major Genberal/equivalent (SAG scale) rank. Further, it takes minimum of 37 to 39 years to get promoted to the rank of Lt. Genberal/equivalent rank (HAG scale). Even though Principal Secretary has a HAG pay scale and rank, it still cannot be compared to equivalent to Lt. General but could be considered equal to Joint Secretary to Government of India or Major General (Principal Staff Officer). Why are officers of Armed Forces so envious of the fact that some of the service conditions of IAS/IPS/IFS officers are better than the Armed Forces. As far as I know, these people have been recruited through a rigorous examination by UPSC that is open to one and all. These officers are not sitting on hereditary posts. They don't complain of all the manpower at the disposal of senior Army officers, vehicles, choppers, free rations, cheap liquor, golf courses run as Environmental Parks, zero political interferences, zero public dealing etc. As regards their efficiency and competence, there are several yardsticks to judge and painting them all with the same brush does not reflect well on your intelligence. The conditions and environment in which they work are entirely different than for armed forces. Whining, complaining and demeaning other people's jobs reflects poorly on oneself but sadly this trend seems to be rising among the officers of our Armed Forces. As a citizen , it is a humble request to maintain your dignity that every decorated officer has. Our Armed forces are our pride but there is a systemic smear campaign by certain retired officers to malign the civilian establishment. Even in TV debates, certain retd.officers have sadly used terms like "bloody civilian". If the service conditions are so bad in Armed Forces, kindly speak while in service and not when retired so that adequate notice is taken by the Govt. 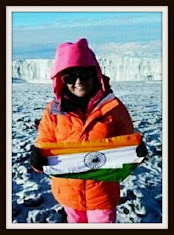 Comparing the pay of a soldier in Siachen with a senior civil servant in Guwahati is misleading and treacherous. A civilian may be bloody but everybody gets paid by his taxes alone. As a senior officer yourself, I earnestly request you to kindly ponder over these facts notwithstanding the fact that you have been a decorated soldier. top only by joining at the bottom. We have had professors of economics become Finance Secretaries or even Governors of RBI. have been found better to head a division. That effectively puts an end to your promotion to Lt. While your point regarding the lack of incentive for promotions in the civil services is well taken, the armed forces are the other extreme - in a bad way. Due to the extremely skewed structure and the up-or-out system of promotion or retirement is it not a fact that a great deal of effort and time of an officer is spent canvassing for promotions? A cursory look at the cases before the AF Tribunals, courts, etc. involving military officers shows how perverse the problem has become where officers fight tooth and nail by hook or by crook to get a promotion. Entire careers are built around getting a better flag or bigger bungalow. Moreover an officer's career can be finished by one bad ACR of his boss. I feel these are as bad as the problems in the civil services that you speak about. Coming back to your point regarding how entire batches of IAS / IPS become JS ranks, etc., this does not mean that there is no rat race. Ultimately everybody cannot become chief secretaries or cabinet secretaries and an 'invisible' ladder still exists in terms of type of posting, responsibility and influence -- which in effect becomes a marker of success. Another marker is the year in which offers get the JS/AdS/S promotions - in most batches there is a 4-6 year gap between the best and worst performers and this serves well to separate the wheat from the chaff. I agree with Ravi. There is an increasing tendency amongst retired Army Officers demeaning the officers from civilian establishment. My feeling about this is that the Army Officers feel that doing their assigned duty as per constitutional mandate is an "Ehsaan" on the Nation. If every professional starts thinking the same way, then the country will sink under the burden of this "Ehsaan". If you see the condition of a doctor in the OPD of Govt Hospital or a policeman doing his job or an engineer working at site, you will realise that they too are doing a tough job, so is the case with all the jobs including that of civil servants. For many years I keep reading about how military officers talk about their ultimate sacrifice while civilian officers have it easy. This is nonsense. So long as our armed forces are not based on conscription every officer and jawan is a volunteer. They are aware of the risks and agree to bear those as a professional. In return they get plenty of perks and a modicum of respect. But to suggest that civilian jobs are a holiday or that civilians have it easy is absurd. Most civil servants have staggering workloads and work under difficult conditions. Not for them the manicured barracks or well maintained military bases. They operate within tight budgets unlike armed forces where the manner of upkeep of the admin facilities suggests there is no paucity of funds. Many,such as doctors, policemen and judicial offers posted in remote districts have a hard life with an equally high risk to life yet nobody speaks about them. Even the humble safai karmachari does a riskier job each day than any other civil servant (and more of them die in line of duty than soldiers) yet we take them for granted. It's time the armed forces realises that they are just one of many careers and professions that contribute to nationbuilding. In superpower USA or worthwhile countries in Europe such as UK, France and Germany the civiians or the civil bureaucracy do not insult their Armed Forces (in public discourse). Even in Pakistan, civil services do not insult the Armed Forces. However it is only in India, that civilians and civil services think they do better job than the military officers and sit on top of us. No wonder India is military weak and others from outside kill us. IAS is nothing but an Arrogant service. The erstwhile ICS was solely responsible for making India poor by Zamindari system and looting of the farmers in the India and taxing them unproportionely. In addition, historically there were also no promotees to the ICS. However now we have PCS officers who comprise of 40 to 50 percent promotees to the IAS which makes the service incompetent and lacklusture in brain and talent. The corruption cases are immense. We have an arrogance epidemic in India. IAS officers think they are above the law, politicians do so, ditto for police. But the military are no less. I habitually see officers flaunting their status to get away with minor misdemeanors such as illegal parking and playing the matyr-card to get special treatment at public services. I don't believe civilians insult military in India. On the contrary it is the opposite that is the problem -- civilians think no end of the forces and give them too much credit. The result is that the forces are pampered silly and essential workers without whom neither you nor I would be able to survive for a week - are neglected. If you think this is rhetoric you can ask yourself -- can you manage if the drains stop working or the water supply is affected? Can you manage if the railways stop working or roadways are neglected. Nobody should believe his service is the ma-baap of this country, least of all the armed forces. All your praises of the military make sense in an environment where this is conscription or compulsory service - like Israel, Singapore or Germany. In such countries people the forces have a special significance because representatives of all families and all people have to assume risk. In India with an all-volunteer army that is not the case. Nobody forced a soldier who dies in a terrorist attack to sign up for his job. He knew the risks, balanced the rewards and volunteered. I feel sorry for his death as I feel sorry for the death of any of my countrymen before their time. But to make a circus of it is insulting the millions of Indians who are working tirelessly each day equally hard of not harder than the military to keep our country together. As for corruption, there is corruption everywhere in all services and I am against it wherever it appears. IAS are guilty as are military officers and their procurement scams. Time to dismantle many colonial legacies that are outdated, wasteful or impractical - be it IAS or the colonial customs the army clings to. According to the Warrant of Precedence (WoP-1979) only those officers can claim such equation who are actually empanelled and are holding the appointment of Jt Secy to Govt of India and not others. An example would be the Chief Secretary of a State who is also in the payscale of Rs 26,000 fixed - he or she is equated with an Army Cdr / Vice Chief (Article 23) only when within own state. Outside his / her State, a Chief Secy is listed at Article 25 below even a Lt Gen who is on Article 24.